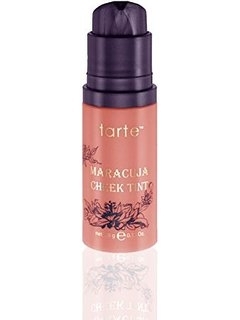 Tarte Maracuja Cheek Tint. Brighten your complexion with this nourishing cheek tint that provides a pop of color. A hue for you! This maracuja oil-infused cheek tint places a pretty, natural-looking hint of color on your cheeks. 9.8 g/0.35 oz. Colors available: Light Nectar; Deep Berry.